Found 10 file extension associations related to Nero ShowTime and 3 file formats developed specifically for use with Nero ShowTime. Nero ShowTime is a great utility to play videos with high image quality. It reproduces MPEG-1, MPEG-2, MPEG-4, MP4, DVD, VCD, SVCD, DivX, XviD and even TV programmes. It counts with technologies to reduce sound, an optical zoom and a function to capture each photogram of the video you are playing. 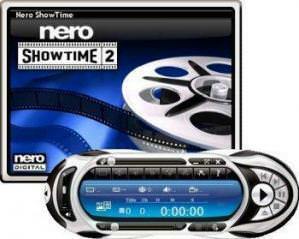 Nero ShowTime counts with a repetition system to determine two points inside the video. All the video content among these points will be repeated till you stop it. If you need more information please contact the developers of Nero ShowTime (Nero AG), or check out their product website.